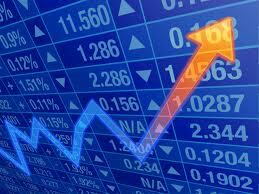 Energy stocks led gains on the Toronto Stock Exchange on Wednesday as figures from the US show a slower pace of output. The sector gained 1.6 per cent in early trading as one of the eight main indexes that increased. Later in the day the Bank of Canada announced that interest rates were being held at 0.75 per cent, but slashed its outlook for the coming months. With oil and earnings the Dow led gains on Wall Street too. Asian markets closed mostly lower as China’s GDP figures showed the world’s second largest economy grew at its slowest pace since before the financial crisis; just 7 per cent in the three months to March. In Europe it was the central bank’s meeting that was in focus and markets closed with slight gains after the expected news that interest rates would be on hold at 0.05 per cent in the Eurozone.